For much of this year, one of the surest bets in political circles has been that embattled New Jersey Gov. Jon Corzine would go down to defeat at the hands of Republican former U.S. attorney Chris Christie. Aside from Christie's (now tarnished) goo-goo rep as a corruption fighter, the thinking was that Corzine had a "ceiling" of somewhere in the low forties, thanks to persistently low approval ratings and the likelihood that most NJ voters had a fixed opinion of the incumbent. Thus, for the first time in decades, a GOP candidate would get the late breaks in a NJ campaign, and end the party's long losing streak in the Garden State. Now the polls are all showing Corzine and Christie running neck-and-neck, with the big wild card being the double-digit support being attracted by independent candidate Chris Daggett. Christie, who had been running a traditional anti-incumbent campaign against Corzine, must now reckon with a perennial question faced by candidates who are imperiled by a lesser-known, third-party contender: To attack Daggett is to elevate him, effectively acknowledging that he’s a serious candidate and offering him free publicity. But ignoring him could amount to disregarding the most serious threat to Christie’s campaign, leaving Daggett to siphon away a significant amount of voters who are intent on registering their opposition to Corzine. 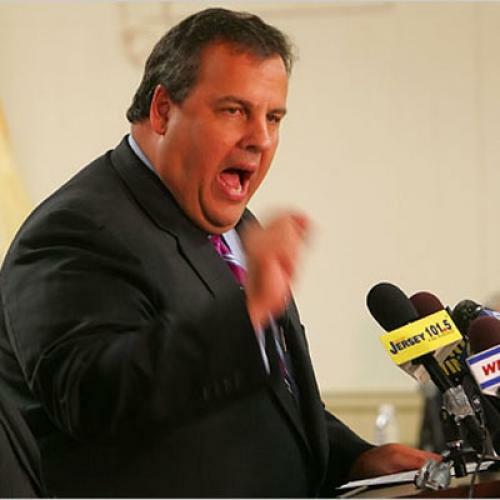 But Christie really doesn't control that decision, since his major funding source, the Republican Governors' Association, has already started going after Daggett with sledge hammers. It appears their theory is that attacks on Daggett as a "tax-and-spend liberal" will either flip Daggett voters to Christie, or perhaps even drive liberal voters who would otherwise support Corzine to the third-party candidate (who already has significant support from environmentalists). Again, the operative assumption is that Corzine's vote has hit its "ceiling," so there's relatively little risk in drawing further attention to Daggett. But you have to wonder: does Christie's vote (now that he's increasingly campaigning like a conventional conservative Republican) also have a "ceiling," based on the Republican Party's legendary handicaps in NJ? This question shows why the outcome in NJ may have national significance, beyond the silly efforts of pundits to make every state race a referendum on Barack Obama, and the undoubtedly positive impact a Corzine win would have on the morale of Democrats who had written off the incumbent many months ago. If the Republican party "brand" is enough to sink a challenger against one of the most vulnerable opponents you'll ever see, then Democrats aren't the only party with a lot to worry about going into next year's 2010 midterms.